Who can security partners and end-users turn to once McAfee products are end-of-lifed? We look at some compelling options. In one of our recent posts, we highlighted some of the likely disruption caused by Intel’s ongoing end-of-life (EOL) programme for many of its McAfee-branded products. But EOL must not spell end-of-business, and although we certainly haven’t discovered the secret of eternal life, our research found there are more than enough security vendors and solutions “out there” to fill McAfee’s shoes! “People are still the biggest security risks”, proclaims this article in CIO.com. Yet in June 2017, McAfee is EOL-ing its Endpoint Encryption solution - arguably one of the most effective methods of ensuring that endpoints lost by employees, or stolen from them, cannot surrender their valuable data.. Enter its Trend Micro namesake, which enables security partners and end-users to remotely encrypt, lock and wipe any endpoint – including desktop, laptop, mobile, and removable media – so that businesses can still enjoy productivity-boosting mobility, without the associated data breach risk. 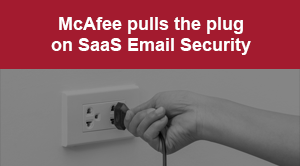 The demise of McAfee’s Email Gateway is not due to happen until 2021 – but, at the same time, the evolution of email-borne threats is likely to hasten the search for a replacement, rather than give it breathing space. Indeed, with the Verizon Data Breach Report recently stating that 77% of malware infections are now due to users receiving a malicious email with a web link or attachment, according to this white paper, security partners and end-users alike need to move fast to secure alternatives. Vendors’ offerings in this area are diverse, but compelling. Malwarebytes, for example, rolls email protection into an overall layered security approach that does not displace or conflict with existing security solutions – a boon for partners (it offers them an easy additional revenue stream) and end-users (it doesn’t disturb their current security arrangements) alike. Trend Micro, for its part, offers multiple email security solutions for both SMB and Enterprise clients. Hosted Email Security solution has achieved 99% blocking effectiveness in independent tests, and takes the security maintenance headache off customers’ desks, as updates, patches and hot fixes are delivered 24x 7 by Trend’s own teams. Smart Protection Complete, for its part, protects not only mail servers and gateways but also the cloud-based collaboration applications like Office 365 on which end-user businesses are increasingly reliant. Finally, another convincing contender is Bitdefender, whose products have been rated the best tested for corporate security and performance by independent test lab AV-TEST. Its email security solutions within the GravityZone product set also boast the top antispam detection rates and can be installed in minutes! Keeping mobile devices - official or otherwise - secure in populous, often geographically diverse enterprise environments is always a challenge, but when your chosen security solution ups sticks and disappears into the sunset (as McAfee’s Enterprise Mobility Management will do in January 2017) it’s time to seriously start nailing down alternative options. Again, Trend Micro plays pretty strongly in this space, with a comprehensive mobile security and management offering (within Smart Protection Complete) that combines protection (DLP, VPN, app control, web filtering, gateway anti-virus etc.) with centralised visibility and control. The latter means that the entire enterprise’s mobility is easily secured and managed from a single “pane of glass”, taking the pressure off partners and end-user security admins at the same time (a feature also be found, in similar form, in Bitdefender’s GravityZone Security for Mobile Devices). EOL for McAfee? New beginnings for your security. This is just a snapshot of the many new opportunities that McAfee’s EOL programme unearths for the security partners who resell solutions or deliver them as MSPs, and the end-users whose business integrity depends on them. It may be EOL for many McAfee solutions, but that’s AOK when you’ve got a plan to move to something better. Posted in Email messaging, Managed IT Service, MSP, Security on 21/11/2016 by Mark Charleton. Bitdefender have announced that its GravityZone solution is now certified by VMWare and has achieved the VMware Ready status. Organisations can now enable agentless scanning on guest virtual machines via NSX introspection, which eliminates the overheads that can be seen when running a separate instance of the agent in each VM. It also offers increased resilience against APT's which target the security solution. Enterprise Customers now have access to a new and proactive approach for securing Datacenters and their Network Virtualisation environments. VMware Ready is a cobranding benefit of the Technology Alliance Partner (TAP) program which makes it easy for customers to identify partner products which have been certified to work within the VMware Cloud infrastructure. With thousands of members worldwide, TAP includes best of breed technology partners who bring the highest expertise and business solutions for each individual customer. Bitdefender GravityZone SVE provide security for virtual machines, virtualised Datacenters and cloud instances, through the GravityZone On Premise console. Posted in Antivirus, Bitdefender, Blue Solutions, Cloud, Endpoint Security, Hosted Exchange, Malware, Managed IT Service, MSP, Security, Server, Viruses on 02/11/2016 by MarkCharleton. Multiple security solutions or integrated suite: which is best for security partners? Multiple combined security solutions can be expensive for partners and customers alike, and can cause security gaps. So do integrated suites make more sense? Calling all security partners - here's a scenario you might recognise: you sell the customer an individual “point” solution to address a specific security need, then you widen the customer’s understanding of their needs and gradually sell them a range of other point solutions to suit. Right? But is this really the most profitable sell? And isn’t its viability called into question by the fact that the point solutions are only as robust as the glue that’s holding them together? Here’s what some of the security partners who are our customers told us. "Individual security solutions inflate costs." As the quote above suggests, partners must balance the relative ease of progressively selling point solutions with the upward price spiral (and competitive impact) that this process tends to introduce. Integrated suites of solutions, however, typically tend to be priced much more favourably; entire suites of security products can often be bought by the partner for a fraction of the price of combining point solutions! But it’s not just about licensing costs. As you’ll read below, industry analysts support the idea that an ecosystem of integrated solutions will be more resource-efficient, enabling repositories to be shared effortlessly between the component solutions within it, and minimising operational costs too. Essentially, this boils down to two issues. Firstly, effective security has to work seamlessly across multiple layers (endpoint, application, network) but it has to do so in a user-centric way. But if you stitch myriad point solutions together there is typically no centralised console for easily managing security across all these layers. Solutions for every layer then have to be managed in isolation, seamlessness evaporates, and admin and management overheads are multiplied, biting deeply into operating margins. Secondly, point solutions, by their nature, are not greatly flexible, so they put partners into a complex and therefore potentially costly technical position when it comes to scaling to meet growing user demand, or deploying across mixed on-premise, cloud and hybrid environments. In short, layered security suites are essential to enable partners to protect their customers comprehensively – but if those layers can’t be controlled from a “single pane of glass” then those partners are heading for a huge profitability drain. This is perhaps the most fundamental observation of all, explained best by industry analyst firm Forrester in this paper. They also confirm that integrated suites incorporating layered security offer partners (and customers) significant reductions in “operational friction” and cost, as we have already mentioned above. Related to what we’ve said above, if point solutions struggle inherently to work together, it’s logical to assume that, as attack surfaces and threat vectors proliferate, this shortcoming degrades even further - and there comes a juncture when point solutions effectively become functionally unable to cover off the full spectrum of threat sources. A cursory glance at the kind of threats that integrated security solutions must now protect against reinforces this view. Endpoints, smartphones and tablets no longer cut the mustard. Instead, protection must extend to USB, removable drives, mail and file servers, messaging and web gateways, collaboration portals, instant messaging (IM) servers – and, as we noted in a previous post, cloud applications (like Office 365) whose use within businesses is skyrocketing. Clearly, however, not all point solutions are created equal. A carefully assembled, multi-vendor solution, using only established best-of-breed components, might arguably be up to the tasks demanded of it - but at what cost? These obstacles are a world away, in cost and complexity terms, from a one-vendor solution with specialist components that target specific security layers, and with its own in-built "single pane of glass", delivering unified management, from very first use, across the customer's entire security estate. According to experts quoted in security publication CSO Online, 2016 is the year of advanced cyber attacks, insider threats, ransomware, “cloud wars” - and a huge shortage of in-house cyber talent that security partners will have to help their customers to fill! Against the backdrop of this surging demand, the notion that partners can profitably supply and effectively manage individual point solutions to simultaneously address such a vast (and growing!) expanse of ever more sophisticated threat sources doesn’t stand up to reasoned analysis. The day is surely coming when there simply won’t be much point in point solutions. Posted in Managed IT Service, Ransomware, Security. Tags: integrated suites, MSP, security solutions on 29/09/2016 by Mark Charleton. Keyboard equipped with a red ransomware dollar button. There has been report of several companies becoming infected by the Crysis Ransomware and as such we have had a look into what it does and how it can be prevented. First detected in February 2016, this virus has multiple methods of infection typically an email which has attachments using double extensions to make them appear non-executable. Although it has been seen to also come through SPAM emails and compromised websites. There has also been reports that it has been distributed to online locations and shared networks disguised as an installer for various legitimate programs. Crysis Ransomware itself is capable of encrypting over 185 file types across fixed, removable and networks drives and uses RSA and AES encryption, once infected it will also look to delete the computers shadow copies. Whilst also creating copies of itself into the following locations. The virus will then look to create/edit certain registry keys to ensure it is run on each system start. Finally after encryption there is a .txt file placed in the computers desktop folder, sometimes this accompanied by an image set as the desktop wallpaper. There has also been reports of Crysis stealing data and credentials from the affected machines and passing these back to its Command and Control server. This would then allow the computers and local networks that have been infected to become vulnerable to further attack if the credentials are not changed. It has also been seen that Crysis will monitor and gather data gathered from IM applications, webcams, address books, clipboards and browsers prior to sending this to the C&C server with the windows variant stealing account and password credentials. Posted in Antivirus, Bitdefender, Blue Solutions, Endpoint Security, Malware, Managed IT Service, MSP, Ransomware, Recovery, Security, Server, Small Business, Small Business Server, Trend Micro, Viruses, Web security, Windows, XSP on 27/09/2016 by MarkCharleton. Bitdefender have updated their GravityZone cloud console with some new features over the weekend and here at Blue Solutions we are happy to guide you through these changes and how they will affect you and your customers. By activating this module, machines will be protected from all currently known forms of Ransomware. Update Rings - this feature allows Administrators of the program to chose when in the validation cycle an update is received. Anti-Exploit Techniques - a new set of powerful techniques which further enhances existing technologies to fight targeted attacks. These are integrated into the existing Advanced Threat Control module. Web Access Control Rules - The categories list has been updated with multiple new categories added. Exchange Protection - This can now be enabled/disabled when editing a customer with a monthly license subscription. The above features are now in place for all current users of Bitdefender Gravityzone in the cloud and will be rolled out to Bitdefender Gravityzone on-premise users from the 27th Sep 2016. Posted in Antivirus, Bitdefender, Blue Solutions, Cloud, Endpoint Security, Managed IT Service, Microsoft Exchange, MSP, Ransomware, Security, Server, Small Business, Small Business Server, Viruses, Web security, Windows. Tags: Bitdefender, Blue Solutions, BYOD, Cloud, Cloud Security, Conseal Security, Cyber crime, Gravity Zone, GravityZone, Licensing, Managed Services, MSP, New features, Ransomware, Security, Virus, Virus protection on 26/09/2016 by MarkCharleton. 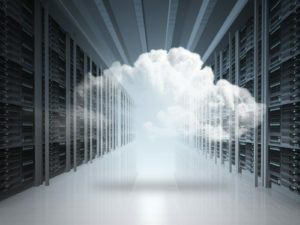 Security for cloud apps: are vendors behind the curve? 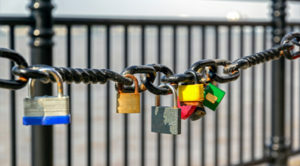 Office 365, Google Drive, Sharepoint: businesses love them, but we ask if security vendors do enough to help partners address their known vulnerabilities – profitably! In a recent post, we looked at the known security limitations of cloud-delivered applications like Office 365, Google Drive, Sharepoint, and others. As we pointed out, identifying security weaknesses in these platforms and providing cloud app customers with solutions to them can prove profitable, according to industry commentators – but are security vendors even addressing this space in the first place, let alone in a way that enables vendors to make viable margins out of it? 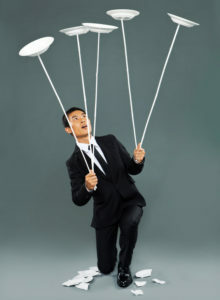 Cloud application security: how big is the pie? The first point we need to make here is that the potential market for these kind of security solutions is big and growing. Since 2011, as this Worldwide Cloud Applications Market Forecast 2015 – 2019 shows, the Cloud applications market has more than doubled, and now accounts for 20% of the overall enterprise applications space. By 2019, Cloud applications subscription revenues could make up 35% of the total addressable market opportunity. Captured amongst all that, of course, are the very applications businesses most want MSPs and other partners to provide – hosted email, file sharing, collaboration, and so on. And these are the very applications that, whilst delivered in a secure manner, are not fully able to secure the content that passes through them, making them vulnerable to risks like advanced and hidden malware, ransomware, phishing attacks, leaking of sensitive data, file sharing on unauthorised devices, and remote user network breaches. In short, there’s plenty of pie available – and cloud application security is potentially the utensil that enables MSPs and other partners to carve themselves a sizeable slice of it! Delivering security for cloud apps: how hard can it be? But the second point we have to consider is that cloud applications need security that is built expressly for cloud computing conditions – and existing security techniques fall down badly in this respect, resulting in few solutions that are fit for purpose. Just take a look at traditional web monitoring, for example – it funnels traffic out of the cloud and into a separate service, adding significant latency that negatively impacts both performance and capacity. Only if pre-cloud approaches are consigned to the dustbin, and direct cloud-to-cloud API integration is offered in its stead, can vendors play strongly in this space, and partners reap the benefits. In this scenario, a literally instant cloud app security deployment is possible, requiring nothing more than the submission of administrator credentials for the apps in question. Bundling, licensing, pricing – can partners make money out of cloud app security? Quite apart from the fact that very few vendors are actually active in the cloud app security space in any serious way, my third point is as much to do with the partner model as it is with the scarcity of those offerings. Even if solutions were plentiful, reselling them in a subscription or perpetual licensing model produces the same challenges that any other reseller in any other IT market encounters – high upfront subscription costs, unpredictable income, lack of flexibility to scale services up and down (and missing out on the additional revenue that such upscaling generates). The risks of this approach are well documented - but then if so few vendors are in this space in the first place, how many of them do we think are in a position to offer the potentially more profitable MSP alternative? Then there’s the question of how vendors actually incorporate cloud app security offerings into their overall security portfolio – or don’t! Currently, the view from the bridge here is that one prominent vendor is now bundling cloud app security within its existing security services, in a cloud-based MSP model, at no extra licensing charge – but other vendors haven’t even started to play catch-up on this. There it is, then: cloud app security solutions are rarer than hen’s teeth! They demand an instantly deployable, cloud-centric architecture that most security vendors simply haven’t applied to this space, a margin-rich partner model that the vast majority of vendors seem unready to offer, and a “business as usual” attitude to bundling that, for many vendors, seems too radical a string to add to their bow. That massive cloud app pie is there for the securing – but, as it stands, most vendors aren’t even making a dent in the crust, still less serving up anything that profit-hungry partners would find a tasty proposition. Posted in Cloud, Managed IT Service, MSP, Office, Security. Tags: app security on 21/07/2016 by Mark Charleton. Web security for MSPs – what are the latest and greatest features? The Web opens a window between networks and the world, creating risks businesses can’t manage. We look at 3 killer web security features that put MSPs in this space. According to the Threat Landscape 2015 report published by the European Union Agency for Network and Information Security (ENISA), the “observed current trend” for web attacks is described, simply and rather ominously, as “increasing”. Of course, what this also means is that the opportunity for MSPs to play into this space, by managing organisations’ web security headaches for them, is potentially huge. But the market is crowded - so what are the killer web security innovations MSPs need to offer to really differentiate themselves from competitors? Web attacks aren’t just inbound – in fact, the most devastating consequences can occur as a result of outbound traffic, for example if a Botnet, Key Logger, or other malicious program sends out information from within the customer’s network. The innovation here is happening on multiple levels. MSP solutions are now taking over the role of constant outbound web security monitoring that customers’ teams often simply do not have the capacity to provide. Immediate alerts, by email or SMS, when a threat is detected, plus automatic blocking of malicious requests, protect the business from haemorrhaging its own IP and sensitive data, and safeguard teams’ core productivity. Network usage and threat analysis reports, delivered to inboxes, then enable stakeholders to understand top threats, overall network traffic, and trends, enabling them to adjust security policies and manage future risk. Ease of deployment: we are now looking at MSP solutions that require no on-site hardware or software, and can protect the entire customer network instantaneously simply by being “pointed” at the security vendor’s DNS structure. Lastly, protection is no longer a trade-off against performance. An MSP delivering a web security service like this one benefits from over 2,500 auto-updates to its threat definitions daily, but doesn’t have to funnel checks and traffic through the bottleneck of a proxy server - thus maintaining optimum surfing performance. Across services like Facebook, Dropbox, Twitter, and even enterprise applications like Salesforce, what are customers’ employees posting or uploading? Is it appropriate to the audience it reaches? What are they clicking on? How are they storing sensitive data, where are they sending it, and why? Are they using language that could hint at malicious or criminal intent? Any one of these concerns is a potential reputational and compliance timebomb – but MSP solutions are now available that take the heat out of HTTPS in three ways. Firstly, it is now possible for MSPs to deliver visibility into cloud application usage, enabling customers to see actions like file uploads, message posts, data storage, and look inside the content of risky or suspicious activity. Secondly, MSPs can now control access (or enable customers to control access) not only to cloud applications, but to specific features within them – by individual, role, device and location. These can include, for example, functions that enable users to upload or delete profile images, remove a public link, permanently delete files from a recycle bin, disable a security group, and many other types of actions that can be high-risk in certain contexts, both with and without malicious intent. The massive productivity gains that cloud apps can deliver are thus largely retained, but at a far lower level of accompanying risk. Thirdly, this “cloud application control”, to be viable across multiple applications, and, potentially, hundreds or thousands of users, has now evolved into a centralised service that can be controlled from a single dashboard, reducing admin and management overheads, and enabling MSPs to keep their margins keen. Analysis of web attacks in isolation does not always deliver the full web threat picture. Web users are invariably email and collaboration software users too, for example, so web threats often propagate through these channels, via vulnerable endpoints. The danger for the MSP providing a web security service is that if they don’t have a truly holistic view of each user and the threats that have been ranged against them in the recent past, the true threat pattern – and so the true extent of users’ vulnerability – will not be fully understood. Service fail! But MSPs are already over this hurdle, for two reasons. They can now access a centralised management console that makes all the relevant threat data visible in one synopsis, (an example of which is shown in this video). And the web security application itself can be connected to other security applications (email, collaboration, endpoint) in one integrated service. The benefits of this approach are immediate, in the sense that the customer is less likely to get caught out by a threat pattern that the MSP’s service hasn’t picked up on! But they’re also forward-looking, as threat intelligence is actively shared between applications, making detection of multi-channel threats easier in the future. But let’s play devil’s advocate here for a moment. MSPs can deliver services around everything from email provision, to backup and business recovery, to accounting and finance, to business analytics, and more besides. There is no shortage of growth markets for MSPs – so why choose web security? None of us have a crystal ball, but the view from the bridge at analysts The Radicati Group looks pretty decisive in this summary of their 2015 to 2019 predictions. The web security market is on the up. MSPs just need to make sure they’re delivering the right features to get a profitable slice of it. Posted in Managed IT Service, MSP, Web security on 08/07/2016 by Mark Charleton. Two thirds of companies now use managed service providers (CompTIA survey). But how should MSPs educate customers about the services they provide? See these tips. In my last post, I wrote about the benefits of selling services through the MSP model, rather than relying on old-fashioned, unpredictable break-fix. All well and good, but that’s often also about selling your customers on something new and different, when they’re used to something established and familiar – and we all know how difficult that can be! So I spoke to some customers and some colleagues, and cast around on the internet, and came up with these useful tips to help you convince your customers that MSP is the way forward! 1. Don’t major on the technology. As this article in CRN eloquently argues, the mechanics of features and functions are absolutely not what will prompt your customer to make a decision in favour of MSP. What your customers are really interested in is how MSP solutions can help them decrease risk, reduce costs, and – perhaps most critically of all – increase productivity. Industry reports and analysis can strongly support your pitch in this respect. Comptia’s annual Trends In Managed Services research, for example, (you can see a non-gated slideshow summary here), contains some excellent references to productivity gains, savings, and ROI, all of which will be useful to you in a sales situation. 2. Ditch the “jargon monoxide”. Do you have any idea how downright poisonous some of the language accepted in IT circles can be to someone seeking to make a purchasing decision? Simplicity and clarity are watchwords in any sales situation, but when you’re trying to persuade a customer to abandon the break-fix model that they may have trusted for many years, they become critical. Test your pitch on friends, family members, and deeply non-technical colleagues – and if they don’t instantly “get it”, rethink it. The psychological impact of obscure language is immensely damaging to MSP sales relationships – as this piece in MSPblog explains. Want to make your customer feel stupid? Make them feel like they’re excluded from your clique? Want to make it sound like you’re lying through your teeth? Then carry on using the jargon. Change is already disruptive and painful for customers – don’t make it unfathomable and repellent too. 3. Get over the monthly rate objection. From your point of view, the fixed monthly payment for your MSP services makes perfect sense – regular, predictable income in return for always-on monitoring and service. Only, many customers won’t necessarily get that last part. In their mind, the choice you are giving them is between a monthly outflow of cash to protect them against something that “might never happen”, and an hourly rate that they only have to pay if something goes wrong. The way to convince them is to highlight just how bad things could get if that something does go wrong. Would they get hit by financial loss if they were to experience more than, say, an hour’s downtime, for example? How much have they invested in their IT infrastructure and how much more would they have to add to that to cover hourly-rate remediation in the event of something like major data loss or theft? You won’t have to search very far to find some seriously compelling statistics on this subject. I wrote in another post recently that 58% of SMBs could not withstand any data loss whatsoever. Consider, in addition, that data loss and downtime cost the UK £10.5 billion per year, according to this piece in TechWeek Europe, and one Gartner analyst has cited an hourly downtime cost, based on company size and type, of between $140,000 and $540,000 per hour! 4. Listen to pain points and tailor solutions. The MSP model has brought a flexibility to the sales process that previously didn’t exist – particularly when it is teamed with solutions delivered through the cloud that can be switched on and off and scaled up and down on demand. In fact, the reality is that there are very few solutions you couldn’t offer in an MSP version to meet your customers’ varied needs. From endpoint security, to data backup and recovery, and of course much more, it’s all up for grabs – but you need to understand your customers’ pain points first! As MSPAlliance recently put it, (my italics), "MSPs must become supremely comfortable interacting with customers on a business level. This means knowing the business of your customers and being able to ask questions and listen to what causes them pain. Once the pain point has been identified, a technical solution to it can be created." 5. Master the proposal process. It’s not only complex language that turns your MSP prospects off, it’s a sales proposal process that feels like it’s trying to funnel them into a one-size-fits-all solution, exacerbating their fear of the new and unknown. The MSP model makes possible multiple alternative solutions in multiple combinations, so use them to give your customers a sense of choice and control. This isn’t break-fix-land, where every additional solution ratchets up the risk of an hourly-rate repair job, so don’t pitch it like it is! For a superb, methodical sales proposal process that will help you to convincingly align solutions options with your MSP customers’ needs, check out this MSP blog post. Get selling to your MSP customers! Posted in Managed IT Service, MSP. Tags: Managed Services, MSP, Resellers on 11/05/2016 by Mark Charleton. The break-fix model is out of date; staying with it means falling behind the competition. So we look at the benefits of moving your business to an MSP model instead. The IT business is famous for its convoluted language and ever-changing buzzwords, but the essence of the break-fix model adopted by so many IT channel partners is as simple as it ever was – wait for something to break, then get called in to fix it. Is this really the way forward? The problem, fundamentally, is that no matter how diligently a break-fix company delivers its reactive-only services, the fact that they are reactive-only immediately puts them in the lower branches of the service quality tree. In short, to move their services up the customer value chain and make them more profitable, break-fix companies have to go proactive instead, preventing the breaks before the fix is even needed! And that means changing to the MSP model. Here are a just a few core MSP benefits that decisively trump the old-world break-fix approach to doing IT business. Think billing customers hefty amounts for break-fix intervention is profitable? Think again. Break-fix is an expensive service to deliver because you can’t predict when something will go wrong. This means multiple ad hoc scrambles to deliver services for which the associated labour and time costs are notoriously hard to estimate and control. Make no mistake, break-fix renders cost and budget planning almost impossible, and so can quickly turn out to be a drain on the business. The MSP model, on the other hand, generates a reliable, recurring monthly fee, enabling predictable cash flow month in, month out, and with no requirement for customers’ systems to break! Ultimately, this supports the planning process that underpins business growth – if you know how much your costs are each month, you know how many contracts you need to bring in to turn a profit. It’s a far cry from waiting for something to go bang and then frantically working out how much you need to charge the customer for it to cover the lean weeks of recent times and those yet to come! Your core differentiator, as an MSP, is that you are not paid to fix the customers’ systems, you are paid to monitor them and prevent issues from taking hold in the first place, using, for example, RMM (Remote Monitoring and Management) tools, like this one. and PSA (Professional Services Automation) tools, an example of which is shown here. What this in turn means is that you are no longer relying on your customers to fail in order for you to succeed; this positions you as a “trusted adviser” and enables you to forge stronger business relationships with them. These stronger relationshjps pave the way for you to expand your service offering, grow those all-important monthly revenues (and the margin you’re making on them), and they also make your customers more likely to recommend you to other prospects! The much-vaunted “single pane of glass” – a portal or console that enables you to easily onboard and manage devices, customers and users, no matter how many of them there are – is now a firm reality in the MSP universe. Consequently, it takes far fewer staff to manage customers’ systems, which in turn delivers higher productivity at much lower cost. Needless to say, the same console can typically be used to deliver additional services to existing clients, on demand, instantly swelling your revenues and binding your customers closer to you. With traditional break-fix services, the only way to make money is if something goes wrong. This is a double-edged sword; the danger is that if you do your job too well, you’re out of business (as if to reaffirm this, insolvencies amongst IT and communications companies rose by 22% at the end of 2014, compared to the previous year, according to research from Exaro). 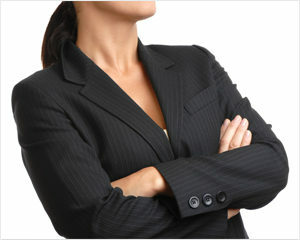 Don’t do the job well, however, and the customer will soon see through it and be off consulting another provider. With the MSP model, of course, all of this ceases to be an issue, because you are measured on your ability to monitor and to prevent disruption, not on your ability to clean up a mess once it’s already happened. You’re delivering a service that is always on and always revenue-generative, not sporadic correctives that temporarily plug urgent holes in your cash flow! Nobody’s suggesting moving from the break-fix model to the MSP model is painless – it isn’t (not least because you’re actually moving from one mentality to a fundamentally very different one). But the Web is well stocked with helpful articles (like this one) calling out the essentials, others (like this one) giving more detailed advice on how you should actually price your MSP services, and discussion forums (like this one) that share the experiences of companies that have already made the transition. Break-fix is broken. Talk to an MSP vendor about it, talk to an MSP distributor about it, talk to an MSP customer about it, but talk to someone, and soon. Otherwise the next thing that breaks could be your bottom line. Posted in Managed IT Service, MSP. Tags: Break-fix on 19/04/2016 by Mark Charleton. 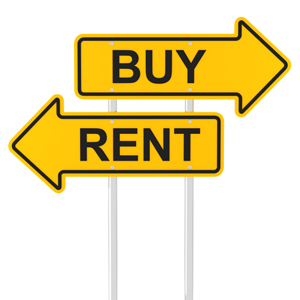 Should You Resell or Become an MSP? As far back as 2009, industry media (in articles like this one) were announcing the factors that were already triggering a critical move from the reseller model to the MSP model. Customers’ reduction in staff and IT budget, hardware end of life, and the rise in remote and virtual working were foremost amongst them. None of these things have gone away. So if you’re still a traditional reseller, how do you break out of break-fix and into this thriving MSP market? What are the benefits? And is your business really suited to doing it anyway? Recurring revenue – The MSP model is based around an established monthly income that can increase as more users are brought on board, whilst keeping the costs of that onboarding extremely low. Result: more predictable budgetary planning, but also keener margins! Add-on sales – The delivery of MSP solutions, particularly in a cloud context, is much easier to “build out” than in a traditional reseller scenario. The MSP can bundle additional products and services during the term, which enables them to extend the contract. Brand trust or marketing muscle? – Many major vendors now sell solutions that were designed from the ground up for the MSP and cloud market, so there is a strong baseline of credibility in these offerings. But if you choose to white-label your service (and many MSPs now do) you lose much of this brand association, so you need to hook up with a vendor that helps you to plug the credibility gap by giving you ready-made end-user marketing campaigns and content. Customer penetration – The MSP model is often seen as a “hands-off” approach, but the fact that an MSP can quickly spin up and remotely support new services is a catalyst to further customer demand. The MSP model doesn’t eliminate customer touch-point - it gives the ones that remain the potential to be much more lucrative! In addition, as we’ve noted in a previous post, as the MSP model essentially allows you to move from owning reseller licences (capital expenditure) to subscribing to a service (operational expenditure), it avoids those big upfront licensing hits to your bottom line. But is the MSP model right for my business? Technical and support expertise – You can buy this expertise in from the vendor if you can’t front it yourself, but if you’re sourcing the solutions from a distributor then relying on the vendor adds an extra dependency into your service capability. Look for a distributor with their own in-house technical and support expertise. Complexity of service delivery – Acccording to research from Markets and Markets2, the annual growth of the SMB managed services market will exceed 20% by 2020. So even if you don’t focus on enterprise clients, as an MSP you would likely be delivering more services and managing more customers and users than you ever were in the reseller regime. If your reseller business can’t shift, technically and culturally, to using more automated methods to accommodate this, such as the RMM (Remote Monitoring and Management) tools that we explored in an earlier post, it’s heading for meltdown. As one RMM vendor opined in this piece, “…a new MSP must be careful not to over-commit themselves; doing so may put them at risk of losing money very quickly”. Change and evolution – Lack of MSP market knowledge and skills can be a serious hindrance, but many partners have been reluctant to embrace MSP and cloud learnings, even though they are capable of boosting their business. Focus here first, then, perhaps? But the MSP market’s not all fat margins and cake for everybody. In fact, as this recent article argues, it’s becoming something of a bear pit. On the one hand, perhaps if they’ve made the leap to MSP, you can. But unless you can differentiate yourself in a crowded market – through vendors, solutions and distributors that give your services some kind of distinctive edge – you could find the going rough. Posted in Managed IT Service, MSP. Tags: MSP on 15/03/2016 by MarkCharleton.